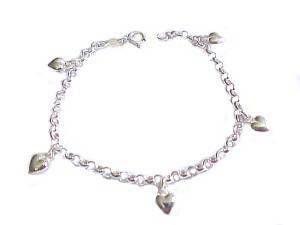 This Woman's Sterling Silver Plus Size Bracelet has Polished Puffed Hearts on a Rolo Chain with a Spring Clasp. 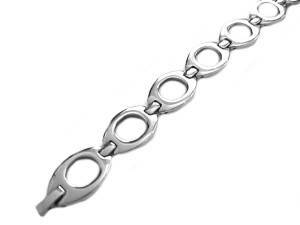 In Standard 7 Inch or 7.5 to 8.5 Inch, with a Silver Tone Removable Bracelet Extender, for Plus Size Women With a Large Wrist. 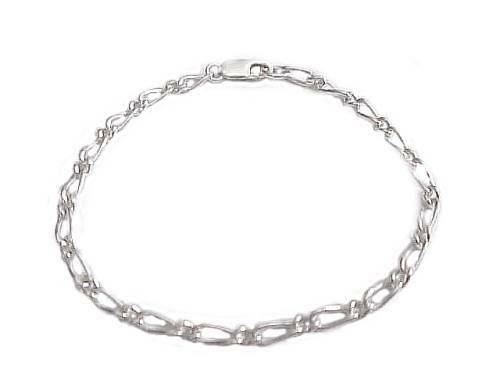 Women's Standard Bracelet Size is 7" to 7 Inch and 8 Inch Up is for the Women with a Large Wrist and Comes With a Removable Silver Tone Extender. 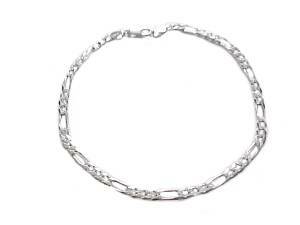 See Free Shipping Offer and Coupons on Qualifying Orders. 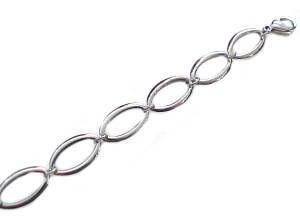 Eye Charm Plus Size Bangle Bracelet Cuff 7-8"
Plus Size Bracelet Stainless Steel Large Oval 8"
Large Size Bracelet Silver Hexagon 8, 9 or 10"